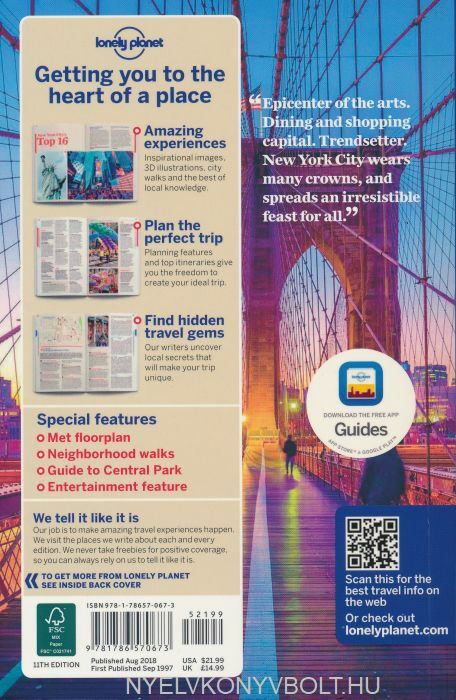 onely Planet: The world’s number one travel guide publisher* Lonely Planet’s New York City is your passport to the most relevant, up-to-date advice on what to see and skip, and what hidden discoveries await you. Food truck, deli, pizza parlor, pub – eat your way through a world of food; take a sunset stroll across the Brooklyn Bridge for romantic views of amber skies; and take in a spectacular show on Broadway – all with your trusted travel companion. 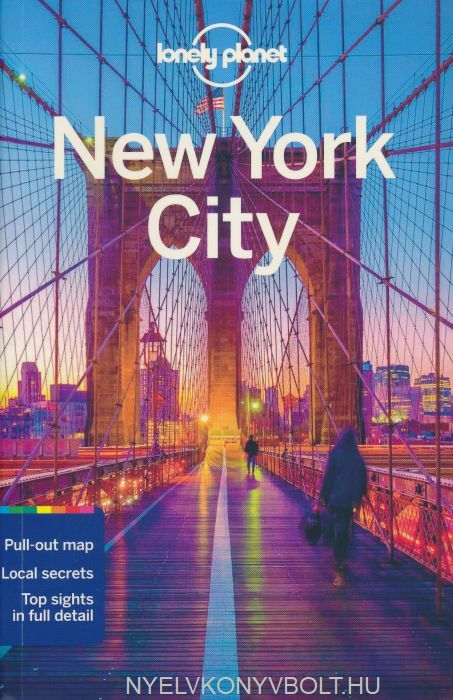 Get to the heart of New York City and begin your journey now!